Carbon (from Latin: carbo "coal") is a chemical element with symbol C and atomic number 6. On the Periodic table, it is the first (row 2) of six elements in column (group) 14, which have in common the composition of their outer electron shell. It is nonmetallic and tetravalent—making four electrons available to form covalent chemical bonds. There are three naturally occurring isotopes, with 12C and 13C being stable, while 14C is radioactive, decaying with a half-life of about 5,730 years. Carbon is one of the few elements known since antiquity. Carbon is the 15th polymer-forming ability at the temperatures commonly encountered on Earth, make this element the chemical basis of all known life. The atoms of carbon can be bonded together in different ways: allotropes of carbon. The best known are graphite, diamond, and amorphous carbon. The physical properties of carbon vary widely with the allotropic form. For example, graphite is opaque and black, while diamond is highly transparent. Graphite is soft enough to form a streak on paper (hence its name, from the Greek word "γράφω" which means "to write"), while diamond is the hardest naturally-occurring material known. Graphite is a very good conductor, while diamond has a very low electrical conductivity. Under normal conditions, diamond, carbon nanotubes, and graphene have the highest thermal conductivities of all known materials. All carbon allotropes are solids under normal conditions, with graphite being the most thermodynamically stable form. They are chemically resistant and require high temperature to react even with oxygen. The most common coal, peat, oil and methane clathrates. Carbon forms a vast number of compounds, more than any other element, with almost ten million compounds described to date, which in turn are a tiny fraction of such compounds that are theoretically possible under standard conditions. The different forms or allotropes of carbon (see below) include one of the softest known substances, graphite, and also the hardest naturally occurring substance, diamond. Moreover, it has an affinity for bonding with other small atoms, including other carbon atoms, and is capable of forming multiple stable covalent bonds with such atoms. As a result, carbon is known to form almost ten million different compounds; the large majority of all chemical compounds. 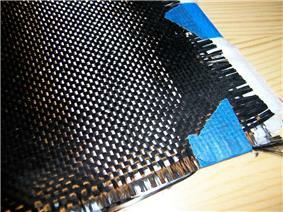 Carbon also has the highest sublimation point of all elements. At atmospheric pressure it has no melting point as its triple point is at 10.8 ± 0.2 MPa and 4,600 ± 300 K (~4,330 °C or 7,820 °F), so it sublimes at about 3,900 K.
Carbon sublimes in a carbon arc which has a temperature of about 5,800 K (5,530 °C; 9,980 °F). Thus, irrespective of its allotropic form, carbon remains solid at higher temperatures than the highest melting point metals such as tungsten or rhenium. Although thermodynamically prone to oxidation, carbon resists oxidation more effectively than elements such as iron and copper that are weaker reducing agents at room temperature. C(s) + H2O(g) → CO(g) + H2(g). Carbon combines with some metals at high temperatures to form metallic carbides, such as the iron carbide cementite in steel, and tungsten carbide, widely used as an abrasive and for making hard tips for cutting tools. As of 2009, graphene appears to be the strongest material ever tested. However, the process of separating it from graphite will require some technological development before it is economical enough to be used in industrial processes. Graphite is one of the softest materials known. Synthetic nanocrystalline diamond is the hardest material known. Graphite is a very good lubricant, displaying superlubricity. Diamond is the ultimate abrasive. Graphite is a conductor of electricity. Diamond is an excellent electrical insulator, and has the highest breakdown electric field of any known material. Graphite is opaque. Diamond is highly transparent. Graphite crystallizes in the hexagonal system. Diamond crystallizes in the cubic system. Amorphous carbon is completely isotropic. Carbon nanotubes are among the most anisotropic materials ever produced. Atomic carbon is a very short-lived species and, therefore, carbon is stabilized in various multi-atomic structures with different molecular configurations called allotropes. The three relatively well-known allotropes of carbon are amorphous carbon, graphite, and diamond. Once considered exotic, fullerenes are nowadays commonly synthesized and used in research; they include buckyballs, carbon nanotubes, carbon nanobuds and nanofibers. Several other exotic allotropes have also been discovered, such as lonsdaleite, glassy carbon, carbon nanofoam and linear acetylenic carbon (carbyne). 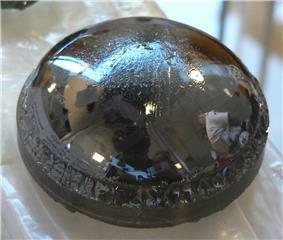 A large sample of glassy carbon. The amorphous form is an assortment of carbon atoms in a non-crystalline, irregular, glassy state, which is essentially graphite but not held in a crystalline macrostructure. It is present as a powder, and is the main constituent of substances such as charcoal, lampblack (soot) and activated carbon. At normal pressures carbon takes the form of graphite, in which each atom is bonded trigonally to three others in a plane composed of fused hexagonal rings, just like those in aromatic hydrocarbons. The resulting network is 2-dimensional, and the resulting flat sheets are stacked and loosely bonded through weak van der Waals forces. This gives graphite its softness and its cleaving properties (the sheets slip easily past one another). Because of the delocalization of one of the outer electrons of each atom to form a π-cloud, graphite conducts electricity, but only in the plane of each covalently bonded sheet. This results in a lower bulk electrical conductivity for carbon than for most metals. 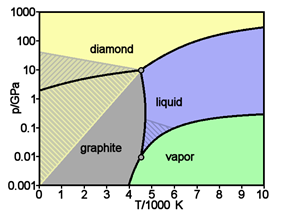 The delocalization also accounts for the energetic stability of graphite over diamond at room temperature. 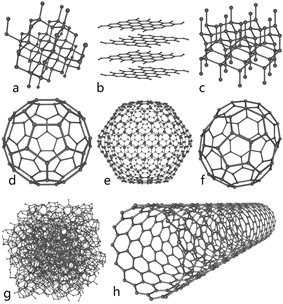 Some allotropes of carbon: a) diamond; b) graphite; c) lonsdaleite; d–f) fullerenes (C60, C540, C70); g) amorphous carbon; h) carbon nanotube. At very high pressures carbon forms the more compact allotrope diamond, having nearly twice the density of graphite. Here, each atom is bonded tetrahedrally to four others, thus making a 3-dimensional network of puckered six-membered rings of atoms. Diamond has the same cubic structure as silicon and germanium and because of the strength of the carbon-carbon bonds, it is the hardest naturally occurring substance in terms of resistance to scratching. Contrary to the popular belief that "diamonds are forever", they are in fact thermodynamically unstable under normal conditions and transform into graphite. However, due to a high activation energy barrier, the transition into graphite is so extremely slow at room temperature as to be unnoticeable. Under some conditions, carbon crystallizes as lonsdaleite. This form has a hexagonal crystal lattice where all atoms are covalently bonded. Therefore, all properties of lonsdaleite are close to those of diamond. Fullerenes have a graphite-like structure, but instead of purely hexagonal packing, they also contain pentagons (or even heptagons) of carbon atoms, which bend the sheet into spheres, ellipses or cylinders. The properties of fullerenes (split into buckyballs, buckytubes and nanobuds) have not yet been fully analyzed and represent an intense area of research in nanomaterials. The names "fullerene" and "buckyball" are given after Richard Buckminster Fuller, popularizer of geodesic domes, which resemble the structure of fullerenes. The buckyballs are fairly large molecules formed completely of carbon bonded trigonally, forming spheroids (the best-known and simplest is the soccerball-shaped C60 buckminsterfullerene). Carbon nanotubes are structurally similar to buckyballs, except that each atom is bonded trigonally in a curved sheet that forms a hollow cylinder. Nanobuds were first reported in 2007 and are hybrid bucky tube/buckyball materials (buckyballs are covalently bonded to the outer wall of a nanotube) that combine the properties of both in a single structure. 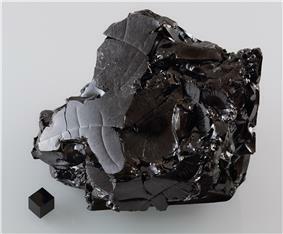 Of the other discovered allotropes, carbon nanofoam is a ferromagnetic allotrope discovered in 1997. It consists of a low-density cluster-assembly of carbon atoms strung together in a loose three-dimensional web, in which the atoms are bonded trigonally in six- and seven-membered rings. It is among the lightest known solids, with a density of about 2 kg/m3. Similarly, glassy carbon contains a high proportion of closed porosity, but contrary to normal graphite, the graphitic layers are not stacked like pages in a book, but have a more random arrangement. Linear acetylenic carbon has the chemical structure -(C:::C)n-. Carbon in this modification is linear with sp orbital hybridization, and is a polymer with alternating single and triple bonds. This type of carbyne is of considerable interest to nanotechnology as its Young's modulus is forty times that of the hardest known material – diamond. Carbon is the fourth most abundant chemical element in the universe by mass after hydrogen, helium, and oxygen. Carbon is abundant in the Sun, stars, comets, and in the atmospheres of most planets. Some meteorites contain microscopic diamonds that were formed when the solar system was still a protoplanetary disk. Microscopic diamonds may also be formed by the intense pressure and high temperature at the sites of meteorite impacts. In 2014 NASA announced a greatly upgraded database for tracking polycyclic aromatic hydrocarbons (PAHs) in the universe. More than 20% of the carbon in the universe may be associated with PAHs, complex compounds of carbon and hydrogen without oxygen. These compounds figure in the PAH world hypothesis where they are hypothesized to have a role in abiogenesis and formation of life. PAHs seem to have been formed "a couple of billion years" after the Big Bang, are widespread throughout the universe, and are associated with new stars and exoplanets. It has been estimated that the solid earth as a whole contains 730 ppm of carbon, with 2000 ppm in the core and 120 ppm in the combined mantle and crust. Since the mass of the earth is 7024597200000000000♠5.972×1024 kg, this would imply 4360 million gigatonnes of carbon. This is much more than the amounts in the oceans or atmosphere (below). In combination with oxygen in carbon dioxide, carbon is found in the Earth's atmosphere (approximately 810 gigatonnes of carbon) and dissolved in all water bodies (approximately 36,000 gigatonnes of carbon). Around 1,900 gigatonnes of carbon are present in the biosphere. Hydrocarbons (such as coal, petroleum, and natural gas) contain carbon as well. Coal "reserves" (not "resources") amount to around 900 gigatonnes with perhaps 18 000 Gt of resources. Oil reserves are around 150 gigatonnes. Proven sources of natural gas are about 175 1012 cubic metres (representing about 105 gigatonnes carbon), but it is estimated that there are also about 900 1012 cubic metres of "unconventional" gas such as shale gas, representing about 540 gigatonnes of carbon. Carbon is also locked up as methane hydrates in polar regions and under the seas. Various estimates of the amount of carbon this represents have been made: 500 to 2500 Gt, or 3000 Gt. 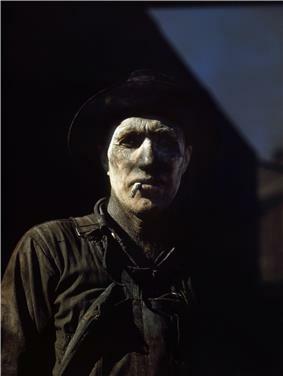 In the past, quantities of hydrocarbons were greater. According to one source, in the period from 1751 to 2008 about 347 gigatonnes of carbon were released as carbon dioxide to the atmosphere from burning of fossil fuels. 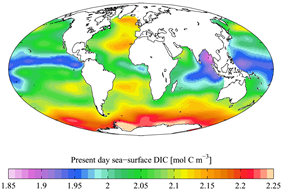 However, another source puts the amount added to the atmosphere for the period since 1750 at 879 Gt, and the total going to the atmosphere, sea, and land (such as peat bogs) at almost 2000 Gt. Carbon is a major component in very large masses of carbonate rock (limestone, dolomite, marble and so on). Coal is the largest commercial source of mineral carbon, accounting for 4,000 gigatonnes or 80% of fossil carbon fuel. It is also rich in carbon – for example, anthracite contains 92–98%. As for individual carbon allotropes, graphite is found in large quantities in the United States (mostly in New York and Texas), Russia, Mexico, Greenland, and India. 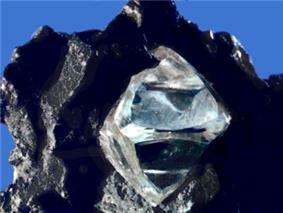 Natural diamonds occur in the rock kimberlite, found in ancient volcanic "necks", or "pipes". Most diamond deposits are in Africa, notably in South Africa, Namibia, Botswana, the Republic of the Congo, and Sierra Leone. There are also deposits in Arkansas, Canada, the Russian Arctic, Brazil and in Northern and Western Australia. Diamonds are now also being recovered from the ocean floor off the Cape of Good Hope. However, though diamonds are found naturally, about 30% of all industrial diamonds used in the U.S. are now made synthetically. Carbon-14 is formed in upper layers of the troposphere and the stratosphere, at altitudes of 9–15 km, by a reaction that is precipitated by cosmic rays. Thermal neutrons are produced that collide with the nuclei of nitrogen-14, forming carbon-14 and a proton. Carbon-rich asteroids are relatively preponderant in the outer parts of the asteroid belt in our solar system. These asteroids have not yet been directly sampled by scientists. The asteroids can be used in hypothetical space-based carbon mining, which may be possible in the future, but is currently technologically impossible. Isotopes of carbon are atomic nuclei that contain six protons plus a number of neutrons (varying from 2 to 16). Carbon has two stable, naturally occurring isotopes. The isotope carbon-12 (12C) forms 98.93% of the carbon on Earth, while carbon-13 (13C) forms the remaining 1.07%. The concentration of 12C is further increased in biological materials because biochemical reactions discriminate against 13C. In 1961, the International Union of Pure and Applied Chemistry (IUPAC) adopted the isotope carbon-12 as the basis for atomic weights. Identification of carbon in NMR experiments is done with the isotope 13C. radiocarbon dating, invented in 1949, which has been used extensively to determine the age of carbonaceous materials with ages up to about 40,000 years. There are 15 known isotopes of carbon and the shortest-lived of these is 8C which decays through proton emission and alpha decay and has a half-life of 1.98739x10−21 s. The exotic 19C exhibits a nuclear halo, which means its radius is appreciably larger than would be expected if the nucleus were a sphere of constant density. Formation of the carbon atomic nucleus requires a nearly simultaneous triple collision of alpha particles (helium nuclei) within the core of a giant or supergiant star which is known as the triple-alpha process, as the products of further nuclear fusion reactions of helium with hydrogen or another helium nucleus produce lithium-5 and beryllium-8 respectively, both of which are highly unstable and decay almost instantly back into smaller nuclei. This happens in conditions of temperatures over 100 megakelvin and helium concentration that the rapid expansion and cooling of the early universe prohibited, and therefore no significant carbon was created during the Big Bang. Instead, the interiors of stars in the horizontal branch transform three helium nuclei into carbon by means of this triple-alpha process. In order to be available for formation of life as we know it, this carbon must then later be scattered into space as dust, in supernova explosions, as part of the material which later forms second, third-generation star systems which have planets accreted from such dust. The Solar System is one such third-generation star system. Another of the fusion mechanisms powering stars is the CNO cycle, in which carbon acts as a catalyst to allow the reaction to proceed. Rotational transitions of various isotopic forms of carbon monoxide (for example, 12CO, 13CO, and C18O) are detectable in the submillimeter wavelength range, and are used in the study of newly forming stars in molecular clouds. Diagram of the carbon cycle. The black numbers indicate how much carbon is stored in various reservoirs, in billions tonnes ("GtC" stands for gigatonnes of carbon; figures are circa 2004). The purple numbers indicate how much carbon moves between reservoirs each year. The sediments, as defined in this diagram, do not include the ~70 million GtC of carbonate rock and kerogen. Under terrestrial conditions, conversion of one element to another is very rare. Therefore, the amount of carbon on Earth is effectively constant. Thus, processes that use carbon must obtain it somewhere and dispose of it somewhere else. The paths that carbon follows in the environment make up the carbon cycle. For example, plants draw carbon dioxide out of their environment and use it to build biomass, as in carbon respiration or the Calvin cycle, a process of carbon fixation. Some of this biomass is eaten by animals, whereas some carbon is exhaled by animals as carbon dioxide. The carbon cycle is considerably more complicated than this short loop; for example, some carbon dioxide is dissolved in the oceans; dead plant or animal matter may become petroleum or coal, which can burn with the release of carbon, should bacteria not consume it. Structural formula of methane, the simplest possible organic compound. Correlation between the carbon cycle and formation of organic compounds. In plants, carbon dioxide formed by carbon fixation can join with water in photosynthesis (green) to form organic compounds, which can be used and further converted by both plants and animals. Carbon has the ability to form very long chains of interconnecting C-C bonds. This property is called catenation. Carbon-carbon bonds are strong, and stable. This property allows carbon to form an almost infinite number of compounds; in fact, there are more known carbon-containing compounds than all the compounds of the other chemical elements combined except those of hydrogen (because almost all organic compounds contain hydrogen as well). The simplest form of an organic molecule is the hydrogen atoms bonded to a chain of carbon atoms. Chain length, side chains and functional groups all affect the properties of organic molecules. Carbon occurs in all known hydrogen, it forms various hydrocarbons which are important to industry as refrigerants, lubricants, solvents, as chemical feedstock for the manufacture of plastics and petrochemicals and as fossil fuels. When combined with oxygen and hydrogen, carbon can form many groups of important biological compounds including sugars, lignans, chitins, alcohols, fats, and aromatic esters, carotenoids and terpenes. With nitrogen it forms alkaloids, and with the addition of sulfur also it forms antibiotics, amino acids, and rubber products. With the addition of phosphorus to these other elements, it forms DNA and RNA, the chemical-code carriers of life, and adenosine triphosphate (ATP), the most important energy-transfer molecule in all living cells. 2), the unstable dicarbon monoxide (C2O), carbon trioxide (CO3), cyclopentanepentone (C5O5) cyclohexanehexone (C6O6), and mellitic anhydride (C12O9). 2) to form alloys with high melting points. These anions are also associated with methane and acetylene, both very weak acids. With an electronegativity of 2.5, carbon prefers to form covalent bonds. A few carbides are covalent lattices, like carborundum (SiC), which resembles diamond. Organometallic compounds by definition contain at least one carbon-metal bond. A wide range of such compounds exist; major classes include simple alkyl-metal compounds (for example, tetraethyllead), η2-alkene compounds (for example, Zeise's salt), and η3-allyl compounds (for example, allylpalladium chloride dimer); metallocenes containing cyclopentadienyl ligands (for example, ferrocene); and transition metal carbene complexes. Many metal carbonyls exist (for example, tetracarbonylnickel); some workers consider the carbon monoxide ligand to be purely inorganic, and not organometallic. While carbon is understood to exclusively form four bonds, an interesting compound containing an octahedral hexacoordinated carbon atom has been reported. The cation of the compound is [(Ph3PAu)6C]2+. This phenomenon has been attributed to the aurophilicity of the gold ligands. The English name carbon comes from the Latin carbo for coal and charcoal, whence also comes the French charbon, meaning charcoal. In German, Dutch and Danish, the names for carbon are Kohlenstoff, koolstof and kulstof respectively, all literally meaning coal-substance. Carbon was discovered in prehistory and was known in the forms of soot and charcoal to the earliest human civilizations. Diamonds were known probably as early as 2500 BCE in China, while carbon in the form of charcoal was made around Roman times by the same chemistry as it is today, by heating wood in a pyramid covered with clay to exclude air. In 1722, René Antoine Ferchault de Réaumur demonstrated that iron was transformed into steel through the absorption of some substance, now known to be carbon. In 1772, Antoine Lavoisier showed that diamonds are a form of carbon; when he burned samples of charcoal and diamond and found that neither produced any water and that both released the same amount of carbon dioxide per gram. 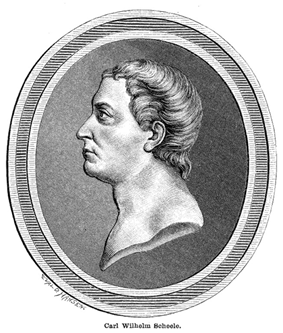 In 1779, Carl Wilhelm Scheele showed that graphite, which had been thought of as a form of lead, was instead identical with charcoal but with a small admixture of iron, and that it gave "aerial acid" (his name for carbon dioxide) when oxidized with nitric acid. In 1786, the French scientists Claude Louis Berthollet, Gaspard Monge and C. A. Vandermonde confirmed that graphite was mostly carbon by oxidizing it in oxygen in much the same way Lavoisier had done with diamond. Some iron again was left, which the French scientists thought was necessary to the graphite structure. However, in their publication they proposed the name carbone (Latin carbonum) for the element in graphite which was given off as a gas upon burning graphite. 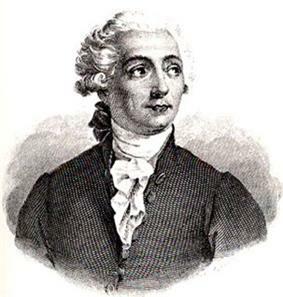 Antoine Lavoisier then listed carbon as an element in his 1789 textbook. A new allotrope of carbon, fullerene, that was discovered in 1985 includes nanostructured forms such as buckyballs and nanotubes. Their discoverers – Robert Curl, Harold Kroto and Richard Smalley – received the Nobel Prize in Chemistry in 1996. The resulting renewed interest in new forms lead to the discovery of further exotic allotropes, including glassy carbon, and the realization that "amorphous carbon" is not strictly amorphous. The developement of carbon technology was very slow, but by the late 1960s it gave a boost. Commercially viable natural deposits of graphite occur in many parts of the world, but the most important sources economically are in China, India, Brazil and North Korea. Graphite deposits are of metamorphic origin, found in association with quartz, mica and feldspars in schists, gneisses and metamorphosed sandstones and limestone as lenses or veins, sometimes of a meter or more in thickness. Deposits of graphite in Borrowdale, Cumberland, England were at first of sufficient size and purity that, until the 19th century, pencils were made simply by sawing blocks of natural graphite into strips before encasing the strips in wood. Today, smaller deposits of graphite are obtained by crushing the parent rock and floating the lighter graphite out on water. There are three types of natural graphite—amorphous, flake or crystalline flake, and vein or lump. Amorphous graphite is the lowest quality and most abundant. Contrary to science, in industry "amorphous" refers to very small crystal size rather than complete lack of crystal structure. Amorphous is used for lower value graphite products and is the lowest priced graphite. Large amorphous graphite deposits are found in China, Europe, Mexico and the United States. Flake graphite is less common and of higher quality than amorphous; it occurs as separate plates that crystallized in metamorphic rock. Flake graphite can be four times the price of amorphous. Good quality flakes can be processed into expandable graphite for many uses, such as flame retardants. The foremost deposits are found in Austria, Brazil, Canada, China, Germany and Madagascar. Vein or lump graphite is the rarest, most valuable, and highest quality type of natural graphite. It occurs in veins along intrusive contacts in solid lumps, and it is only commercially mined in Sri Lanka. According to the USGS, world production of natural graphite was 1.1 million tonnes in 2010, to which China contributed 800,000 t, India 130,000 t, Brazil 76,000 t, North Korea 30,000 t and Canada 25,000 t. No natural graphite was reported mined in the United States, but 118,000 t of synthetic graphite with an estimated value of $998 million was produced in 2009. The diamond supply chain is controlled by a limited number of powerful businesses, and is also highly concentrated in a small number of locations around the world (see figure). Only a very small fraction of the diamond ore consists of actual diamonds. The ore is crushed, during which care has to be taken in order to prevent larger diamonds from being destroyed in this process and subsequently the particles are sorted by density. Today, diamonds are located in the diamond-rich density fraction with the help of X-ray fluorescence, after which the final sorting steps are done by hand. Before the use of X-rays became commonplace, the separation was done with grease belts; diamonds have a stronger tendency to stick to grease than the other minerals in the ore. Historically diamonds were known to be found only in alluvial deposits in southern India. India led the world in diamond production from the time of their discovery in approximately the 9th century BCE to the mid-18th century AD, but the commercial potential of these sources had been exhausted by the late 18th century and at that time India was eclipsed by Brazil where the first non-Indian diamonds were found in 1725. Diamond production of primary deposits (kimberlites and lamproites) only started in the 1870s after the discovery of the Diamond fields in South Africa. Production has increased over time and now an accumulated total of 4.5 billion carats have been mined since that date. About 20% of that amount has been mined in the last 5 years alone, and during the last ten years 9 new mines have started production while 4 more are waiting to be opened soon. Most of these mines are located in Canada, Zimbabwe, Angola, and one in Russia. In the United States, diamonds have been found in Arkansas, Colorado and Montana. In 2004, a startling discovery of a microscopic diamond in the United States led to the January 2008 bulk-sampling of kimberlite pipes in a remote part of Montana. Today, most commercially viable diamond deposits are in Russia, Botswana, Australia and the Democratic Republic of Congo. In 2005, Russia produced almost one-fifth of the global diamond output, reports the British Geological Survey. Australia has the richest diamantiferous pipe with production reaching peak levels of 42 metric tons (41 long tons; 46 short tons) per year in the 1990s. There are also commercial deposits being actively mined in the Northwest Territories of Canada, Siberia (mostly in Yakutia territory; for example, Mir pipe and Udachnaya pipe), Brazil, and in Northern and Western Australia. 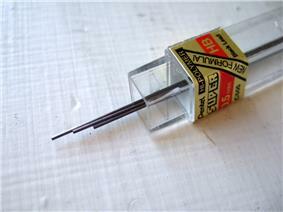 Pencil leads for mechanical pencils are made of graphite (often mixed with a clay or synthetic binder). Sticks of vine and compressed charcoal. Carbon is essential to all known living systems, and without it life as we know it could not exist (see alternative biochemistry). The major economic use of carbon other than food and wood is in the form of hydrocarbons, most notably the fossil fuel methane gas and crude oil (petroleum). Crude oil is used by the petrochemical industry to produce, amongst other things, gasoline and kerosene, through a distillation process, in refineries. Cellulose is a natural, carbon-containing polymer produced by plants in the form of cotton, linen, and hemp. Cellulose is mainly used for maintaining structure in plants. Commercially valuable carbon polymers of animal origin include wool, cashmere and silk. Plastics are made from synthetic carbon polymers, often with oxygen and nitrogen atoms included at regular intervals in the main polymer chain. The raw materials for many of these synthetic substances come from crude oil. The uses of carbon and its compounds are extremely varied. It can form alloys with iron, of which the most common is carbon steel. 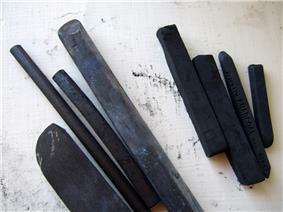 Graphite is combined with clays to form the 'lead' used in pencils used for writing and drawing. It is also used as a lubricant and a pigment, as a molding material in glass manufacture, in electrodes for dry batteries and in electroplating and electroforming, in brushes for electric motors and as a neutron moderator in nuclear reactors. specific tensile strength than steel. Carbon black is used as the black pigment in printing ink, artist's oil paint and water colours, carbon paper, automotive finishes, India ink and laser printer toner. Carbon black is also used as a filler in rubber products such as tyres and in plastic compounds. Activated charcoal is used as an absorbent and adsorbent in filter material in applications as diverse as gas masks, water purification and kitchen extractor hoods and in medicine to absorb toxins, poisons, or gases from the digestive system. Carbon is used in chemical reduction at high temperatures. Coke is used to reduce iron ore into iron. Case hardening of steel is achieved by heating finished steel components in carbon powder. Carbides of silicon, tungsten, boron and titanium, are among the hardest known materials, and are used as abrasives in cutting and grinding tools. Carbon compounds make up most of the materials used in clothing, such as natural and synthetic textiles and leather, and almost all of the interior surfaces in the built environment other than glass, stone and metal. A large trade in gem-grade diamonds exists. Unlike precious metals such as gold or platinum, gem diamonds do not trade as a commodity: there is a substantial mark-up in the sale of diamonds, and there is not a very active market for resale of diamonds. The market for industrial-grade diamonds operates much differently from its gem-grade counterpart. Industrial diamonds are valued mostly for their hardness and heat conductivity, making many of the gemological characteristics of diamond, including clarity and color, mostly irrelevant. This helps explain why 80% of mined diamonds (equal to about 100 million carats or 20 tonnes annually), unsuitable for use as gemstones and known as bort, are destined for industrial use. In addition to mined diamonds, synthetic diamonds found industrial applications almost immediately after their invention in the 1950s; another 3 billion carats (600 tonnes) of synthetic diamond is produced annually for industrial use. The dominant industrial use of diamond is in cutting, drilling, grinding, and polishing. Most uses of diamonds in these technologies do not require large diamonds; in fact, most diamonds that are gem-quality except for their small size, can find an industrial use. Diamonds are embedded in drill tips or saw blades, or ground into a powder for use in grinding and polishing applications. Specialized applications include use in laboratories as containment for high pressure experiments (see diamond anvil cell), high-performance bearings, and limited use in specialized windows. With the continuing advances being made in the production of synthetic diamonds, future applications are beginning to become feasible. Garnering much excitement is the possible use of diamond as a semiconductor suitable to build microchips from, or the use of diamond as a heat sink in electronics. Pure carbon has extremely low toxicity to humans and can be handled and even ingested safely in the form of graphite or charcoal. It is resistant to dissolution or chemical attack, even in the acidic contents of the digestive tract, for example. Consequently, once it enters into the body's tissues it is likely to remain there indefinitely. Carbon black was probably one of the first pigments to be used for tattooing, and Ötzi the Iceman was found to have carbon tattoos that survived during his life and for 5200 years after his death. However, inhalation of coal dust or soot (carbon black) in large quantities can be dangerous, irritating lung tissues and causing the congestive lung disease coalworker's pneumoconiosis. Similarly, diamond dust used as an abrasive can do harm if ingested or inhaled. Microparticles of carbon are produced in diesel engine exhaust fumes, and may accumulate in the lungs. In these examples, the harmful effects may result from contamination of the carbon particles, with organic chemicals or heavy metals for example, rather than from the carbon itself. 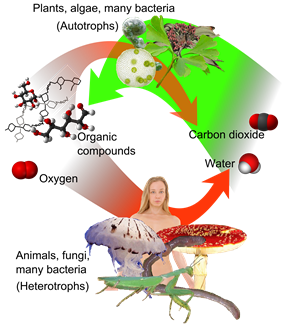 Carbon generally has low toxicity to almost all life on Earth; however, to some creatures it can still be toxic. For instance, carbon nanoparticles are deadly to Drosophila. Carbon may also burn vigorously and brightly in the presence of air at high temperatures. Large accumulations of coal, which have remained inert for hundreds of millions of years in the absence of oxygen, may spontaneously combust when exposed to air, for example in coal mine waste tips. In nuclear applications where graphite is used as a neutron moderator, accumulation of Wigner energy followed by a sudden, spontaneous release may occur. Annealing to at least 250 °C can release the energy safely, although in the Windscale fire the procedure went wrong, causing other reactor materials to combust. The great variety of carbon compounds include such lethal poisons as tetrodotoxin, the lectin ricin from seeds of the castor oil plant Ricinus communis, cyanide (CN−) and carbon monoxide; and such essentials to life as glucose and protein. Carbon—Super Stuff. Animation with sound and interactive 3D-models.